Poodle dog health info is important for keeping your pet up to date on vaccinations, keeping him from serious illness and knowing first aid techniques in case your dog gets hurt. Be proactive in your poodle health life, and she'll love you for it and be around a long time! Dogs rely on us to do what's best for them. They need regular vaccines, vet trips, ear, eye and teeth cleaning. 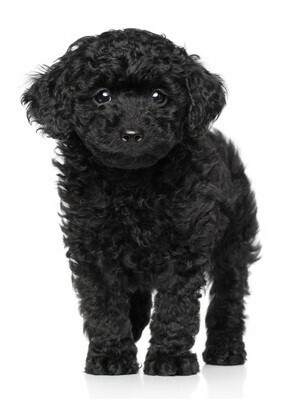 Poodle health problems need not become major as long as you know what to do to keep him healthy. Natural dog health has become more popular, too, with at home treatments to treat your dog. We need to observe our pets - how they look and act. Learn her normal behaviors, how her fur, belly, teeth, eyes, ears and paws look, and her daily bathroom, sleeping and eating habits. If there's a change, you'll recognize it and can contact the vet if necessary. Keep on top of your poodle health issues and keep your dog around for a long time. Exercise her daily. External parasites like fleas and ticks can plague your poodle as well as internal parasites like worms. Know what vaccinations your dog needs and how often to get them. 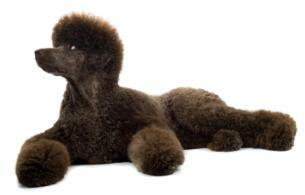 Learn first aid tips in case your poodle is seriously injured. And have a natural disaster plan for your dog. Learn the signs of heatstroke and frostbite and how to prevent and treat them. Find out common illnesses your pet can get and how they can be treated. And you should look into health insurance policies for your pooch when she is a puppy to help defray vet costs. Find out what genetic predispositions your pet might encounter in her adult years. Spaying and neutering are recommended unless you plan to breed your poodle. This is a surgical procedure that renders them incapable of reproducing and prevents the birth of unwanted dogs in the future. You can neuter or spay your dog usually when they are 6 months old. Males who are neutered may not roam, male marking may be eliminated, and it can help ward off prostate problems. Keep up to date on dog health info as your poodle's health will be an important aspect of her life. Dog owners need to be proactive in their pet's health to correct and treat any illness or disease he may get as he goes through puppyhood to senior dog status.